The roles of women in the armed forces over the last 100 years is being poignantly told in a new exhibition that has been unveiled at the excellent National Memorial Arboretum at Alrewas in Staffordshire. The Royal British Legion has marked the centenary of women's service in the UK Armed Forces with the exhibition, entitled Women At War 100, at the NMA, which contains more than 300 memorable and thought-provoking memorials on the 150-acre site. The exhibition is being housed close to the main visitor centre at the Arboretum, on what was a temporary structure erected while the central Armed Forces Memorial - which houses the names of all servicemen killed on duty since 1945 - was being cleaned and renovated. The new display tells the story of women joining the Armed Forces in Britain from 7 July 1917 when the Women's Army Auxiliary Corps (WAAC) became the British Army's first all-female unit at the height of the First World War. The exhibition goes on to tell how the role of women in the Army, Navy and Airforce has developed over the last 100 years, while also inviting visitors to the Arboretum to learn more about the women who pushed the boundaries. The creation of the Women's Army Auxiliary Corps in 1917 signalled the first all-women unit in the British Army. It was the first time that women were formally fully enrolled in the country's Armed Forces and represented a major step forward for all women in the country. The WAAC, which was later renamed the Queen Mary's Army Auxiliary Corps (QMAAC), resulted in more than 57,000 women serving in the military from its inception in July 1917 up until 1921, including 10,000 in France. Its historic success was secured by two women clearly well ahead of their time: Alexandra "Mona" Chalmers Watson and Dame Helen Gwynne-Vaughan. The 57,000 WAACs served in a variety of positions including drivers, clerks, signallers, cooks, bakers, orderlies, waitresses, code-breakers, printers, gardeners, domestics, typists and phone operators. The detailed, informative exhibition goes on to tell the history of 'women at war', including the founding of the Women's Royal Naval Service (WRNS) in November 1917. Although disbanded at the end of WWl in 1919 it was reformed in 1939 at start of the Second World War. Further landmarks include the creation, in 1938, of the Auxiliary Territorial Service (ATS), which was the women's branch of the British Army during the Second World War and counted HRH Princess Elizabeth amongst its members. It was later succeeded by the Women's Royal Army Corps (WRAC) in 1949. Another milestone involved the formation of the Women's Land Army, later referred to as the Land Girls, during WW2 when more than 80,000 women took the place of male farm-workers to help keep Britain fed during the war. The success of the many pioneers is made evident by the fact that by 2008 the British Armed Forces had 17,620 serving women, representing more than nine per cent of the total of 187,000. They have broken down the barriers to such an extent that 96 per cent of jobs in the RAF are now open to women, followed by 71 per cent in the Royal Navy and 67 per cent in the Army. The exhibition at the Arboretum continues up to the 21st century including the story of Michelle Norris who become the first woman to receive the Military Cross in 2006 when the Royal Army Medical Corps private saved her commander's life in a firefight with more than 200 insurgents in Iraq. In fact, Michelle is just one of several notable women who are highlighted as part of the exhibition. The courageous stories commence during the First World War with that of nurse Sister Edith Appleton, who served in France with the elite Queen Alexandra's Imperial Military Nursing Service, and Flora Sandes, who was the only British woman to serve as a combat soldier in the First World War and was wounded fighting as a sergeant with the Serbian army in 1916. Not to be content with that, she then enlisted again in 1941, at the age of 65, to help fight the Nazi invasion of Yugoslavia. And then there were sisters Eileen and Jacqueline Nearne who were among the most remarkable of the 39 women who spied for Britain during the Second World War. Jacqueline spent 15 months in France until 1944, when Eileen was flown into the country. Their story did not come to light for 66 years, but you'll have to visit the exhibition to find out more about this, and the many other brave accounts. 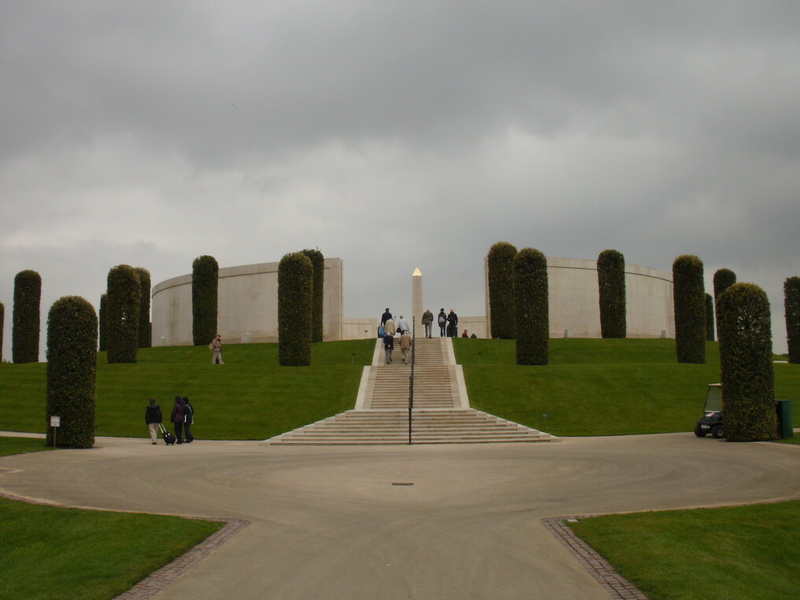 The National Memorial Arboretum is situated on Croxall Road, Alrewas, near Lichfield, Staffordshire, and is open daily (except Christmas Day) from 9am until 5pm, or until dusk in winter months. Entry into the Arboretum grounds is free but donations are appreciated. Parking normally costs £3. For more information, visit online at www.thenma.org.uk or call 01283 245100.